Pistia is a genus of aquatic plant in the arum family Araceae with Pistia stratioles as the only species often called water cabbage, Nile cabbage or shell flower (Quattrocchi, 2000). It was earlier discovered in Africa from Nile near Lake Victoria as a free floating aquatic plant found growing abundantly in Tropical and sub- tropical region of the world and detests frost in the temperate during winter. Water cabbage is a perennial monocotyledon with thick - soft leaves that form a rosette and one of the least favoured floating macrophytes for herbivores (Singh, 1977). This plant inhabits lakes, ponds ditches, canals etc. with economic importance as a vegetable in India and serves as a breeding and nursery ground for mosquitoes of the genius mansonia (Vershney and Singh, 1976; Park, 2007). It contains needful amount of macro and micro nutrients capable of meeting fish growth and development, such as protein, carbohydrate, minerals, vitamins, fat content. Water lettuce is used for feeding Chinese carps in china and its usage has not been profitably realized as feed ingredients in developing countries where ripple effects of exogenous factors lead to food and nutrition insecurity. Maize (zea mays) is the most widely grown grain crop throughout the Americas with 332 million metric tons grown annually on the United State alone (FAO, 2009). Maize is used by agricultural bodies and research institute such as FAO and SIRO, the grain is an excellent high- energy animal feed and highly digestible. Hence, use as the basis for high energy rations for fish production, fattening cattle and lambs. It contains less fibre, less biological value and fewer minerals than most other cereal grains. The family Clariidae is divided into two genera- Clarias and Heterobranchus; Clarias gariepinus is a member of the gnathostometous chordate. At various geographical locations, it bears different names for example; it is called C. lazera in the northern and central Africa, C. senegalensis, in East Africa, C. mossambicus. In West Africa and in South Africa, it is called C. gariepinus. They are distributed all over the world but primarily, indigenous catfish occurring in fresh water throughout Nigeria (Viveen et al., 1985). Dietary completion and technological treatment of plant feedstuffs could increase their uses in fish feeds and may reduce reliance on conventional feedstuffs (Mbonge, 2007). Although, large amounts of plant feedstuffs were used as animal husbandry feeds. Relatively, few have been used in fish feeds, because fish required high levels of dietary protein to energy with low level of fiber (Shiau and Peng, 1993). Numerous earlier works reported possible use of plant proteins in fish feeds including (Soltan, 2002; Soltan, 2005). The extent of feedstuffs utilization of plant origin depends on availability, acceptability by fish, processing method and nutritive value. Comprehensively, understanding fish nutrition is a prerequisite for successful fish culture (Adedokun et al., 2016). Culturally, the soaring cost and demand for qualitative fish feeds from conventional feed resources necessitates fish culturists of the developing countries to incorporate cheap and locally available ingredients in fish feeds. As the net income realized from the enterprise increases, the long practicing fish farmers would remain in the business due to cheaper fish feed. This, also enhance quality and quantity of feed given the fish for improved output and productivity (Oluwasola and Ige, 2015). Recently the utilization of aquatic plants having high biological value are used to supplement fish feed has taken a new dimension for producing the much required animal protein at low cost (Lakshmanan et al., 1967). Therefore, water lettuce does not face the same competition as conventional feedstuff (maize). According to Rumsey (1993), increased use of well processed plant protein supplements in fish feed reduces the cost of fish meal. This paper reports the growth performance and nutrient utilization of African catfish fed water lettuce based diets. This experiment was carried out in the research and training fish farm centre of Oyo State College of Agriculture and Technology Igbo-ora, Nigeria. The fish Clarias gariepinus were obtained in the College, acclimatized for three (3) days inside the bowls. The experiment was set up in a completely randomized design (CRD) with five treatments replicated three times each as diet I control (0%) WLLM, diet II (25%) WLLM, diet III (50%) WLLM, diet IV (75%) WLLM and diet V (100%) WLLM. The Clarias gariepinus of average weight of 14.77±0.26 g were distributed randomly and accordingly to the treatments containing different inclusion levels of WLLM. Each bowl has stocking density of twenty (20) juveniles totaling three hundred (300) juveniles for Fifteen (15) plastic bowls and aeration of water was achieved using central air pump that was connected to each bowl through air stones. Fish were weighed using a portable electric balance of OHUAS-LS-400 g and the initial weighing was carried out after 3 days of acclimation. As part of management practices, weeding of Mature water lettuce plants was achieved by hand pulling, collected and brought to the feed mill of research and training fish farm centre in OYSCATECH where the leaves were removed and washed with clean water to remove the dirt and other debris, drained properly and dried at room temperature (25ºC), they were ground with a domestic hammer mill to powdered form, packed and kept in airtight polythene bags until needed (Plate 1). Plate 1: Water lettuce plant. Positive effects includes: It outcompetes algae for nutrients in the water thereby preventing massive algal blooms; provides food for fish, turtles and water fowls; lower water temperature. Generally during rainy season, the leaf becomes too massive, die in cold areas and possibly polluting the water system. However, the dry season is noted for optimization of positive effects of the leaf. The fish diet ingredients were procured from Ibadan Oyo State. The diets used in the experiment were formulated using the Pearson square method. The diets were iso-nitrogenous (40% crude protein) and contained 0, 25, 50, 75 and 100% inclusion levels of water lettuce leaf meal. The 40% dietary protein level was chosen on the basis that Clarias spp strived well on protein level between 40-45%. The ingredient were grounded and mixed properly by hand to have the desirable mixture that could be easily handled during diet preparation (Fagbenro and Arowosoge, 1991). The percentage composition of the experimental diets is shown in Table 1. The diets were assayed for dry matter, crude protein, lipid (ether extract) and ash according to standard procedures of AOAC 1999. Fish were fed twice a day between 7:00-9:00 am and 7:00- 8:00 pm at 5% body weight. Pellets were spread by hand to air dry and feed given was adjusted weekly after weighing. Table 1: Percentage composition of the experimental diets. (Where In is the natural Logarithm Wf and Wo are the final and initial weight respectively, T is the time of the experiment. One-way analysis of variance (ANOVA) was carried out to determine the effect of diets on growth and nutrient utilization parameters using 15.0 versions of SPSS (1999) statistical package. The Duncan’s Multiple Range Test was used to determine the differences between the treatment means. The alphabetical notation was used to mark the differences at significant level of an alpha 0.05 (Alatise et al., 2014). Water quality was monitored every week throughout the feeding experiments. Water temperature (ºC) and hydrogen ion concentration (pH) were measured daily with a combined digital pen-type meter while the dissolved oxygen (mg/l) was measured using the Winkler’s method and conductivity by a digital conductivity meter (APHA AWWA WPCF, 1999). The ability of a feedstuff such as leaf meal in fish diets can be evaluated on the basis of its proximate chemical compositions. The proximate composition of water lettuce (Pistia stratiotes) leaf meal and yellow maize meal are presented in Table 2. The results showed that the aquatic plant leaf meal was found to be moderately lower in crude protein (9.04%), fat (1.16%) and Nitrogen Free Extract (49.55%) compared with the yellow maize meal which contained crude protein (11.83%), fat (5.47%) and Nitrogen Free Extract (66.08%). The results also showed that crude fibre (19.13%) and crude ash (21.12%) in water lettuce leaf meal were higher than the values obtained for yellow maize meal with crude fibre (15.14%) and crude ash (1.48%) respectively. The moisture content of water lettuce leaf meal was higher (6.00%) than the yellow maize meal (5.52%). These values agree with the results reported by Rodríguez et al., (2000) for water lettuce leaf meals. The gross energy was higher in yellow maize meal (386.92 kcal/g) than the water lettuce leaf meal (265.20 kcl/g). The digestible energy was also higher in yellow maize meal (250.91 kcal/g) than the water lettuce leaf meal (164.92 kcl/g). *Nitrogen Free Extract (NFE) is calculated by difference=100 – (protein+lipidfibre+ash); Gross energy=Caloric value of protein 5.65, NFE 4.1 and lipid 9.45kcal/g (NRC, 1993); Digestible energy=Caloric value of protein 3.5, NFE 2.5 and lipid 8.1 kcal/g (Brett, 1973). Table 2: Proximate composition (% dry weight) of water lettuce (Pistia stratiotes) leaf meal. The proximate composition of water lettuce leaf meal based diets is presented in Table 3. The results showed that diet 1 has the highest value of protein (41.56%), preceded by diet 5 (40.01%), while diet 2 has the lowest value (39.84%). The crude fat and NFE were highest and assumed the same trend pattern in diet 2 (10.12%), diet 4 (10.11%), diet 3 (10.10%), diet 5 (9.98%), while diet 1 has the lowest value (9.34%) and diet 2 (34.02%), followed by diet 4 (33.39%), diet 3 (33.72%), diet 5 (33.28%), while diet 1 has the lowest value (33.17%) respectively. Diet 5 has the highest value (5.87%) of crude fibre, followed by diet 4 (5.61%), diet 3 (5.42%), diet 2 (5.13%) while diet 1 has the lowest value (4.50%) of crude fibre. The moisture content of the water lettuce leaf meal based diets ranged from 2.00% (diets 2, 3, 4 and 5) and 3.00% (diet 1). The gross energy value ranged from diet 5 (456.82 kcal/g) to diet 2 (460.21 kcal/g) and digestible energy value also ranged from diet 5 (304.04 kcal/g) to diet 1 (306.46 kcal/g). Table 3: Proximate composition (% dry weight) of water lettuce leaf meal based diets. The mean water quality of the rectangular plastic trough system at weekly intervals during the experimental period is presented in Table 4. The water quality was monitored every week throughout the feeding trials. The water temperature ranged between 26.14 to 27.80ºC with mean water temperature of 27.11ºC. The dissolved oxygen also ranged between 4.56 to 7.24 mg/l with mean dissolved oxygen value of 6.49 mg/l, pH 6.88 to 7.40 with mean pH of 7.02 and conductivity ranged from 270.00 to 532.00 μhom/cm3 with mean value of 347.00 μhom/cm3. These water quality ranges fall within acceptable range of APHA AWWWA WPCF (1999). The survival rates ranged from 56.67% to 86.67% with mean survival rate 71.67%. Diet 3 had the highest survival rate. Table 4: Mean water quality of the rectangular plastic trough system at weekly intervals during the experimental period. The growth and survival rates of African catfish (Clarias gariepinus) fed water lettuce leaf meal based diets is presented in Table 5. The mean body weight gain of 70.60 g was highest in fish fed 0% water lettuce leaf meal along with 100% maize meal (control diet), followed by diet 3 containing 50% water lettuce leaf meal along with 50% maize meal (69.70 g), and the lowest mean body weight gain of 38.32 g was observed with diet 5 containing 100% water lettuce leaf meal along with 0% maize meal. There was no significant difference (p>0.05) between the mean body weight gain for diet 1 (70.60 g), diet 2 (60.09 g) and diet 3 (69.70 g) while diet 4 (44.55 g) and diet 5 (38.32 g) exhibited significant difference respectively. The mean specific growth rate of 3.04%/day was highest in fish fed control diet containing 0% water lettuce leaf meal along with 100% maize meal, followed by diet 3 containing 50% water lettuce leaf meal along with 50% maize meal (3.10%/day), and the lowest mean specific growth rate of 2.25%/day was observed with diet 5 containing 100% water lettuce leaf meal along with 0% maize meal. Diet 1 (3.04%/day), diet 2 (2.90% / day) and diet 3 (3.10%/day) showed no significant difference while diet 4 (2.48%/day) and diet 5 (2.25%/day) were significantly different in mean specific growth. Table 5: The growth and survival rates of African catfish (Clarias gariepinus) fed water lettuce leaf meal based diets. The best food conversion ratio of 2.45 was recorded in control diet, followed by diet 3 (2.53) with no significant difference (p>0.05) between the food conversion ratio of diets 1, 2 and 3 as shown in Table 5. The poorest food conversion ratio of 4.38 was recorded in fish fed100% water lettuce leaf meal without maize meal (diet 5). It should be noted that the lower the value of food conversion ratio, the better for the fish as less diets will be converted into flesh. This implies that the Clarias gariepinus Juveniles utilized diets 1, 2 and 3 better than diets 4 and 5. The best feed efficiency of 40.94% was recorded in control diet, followed by diet 3 with approximately 40%. There was no significant difference (p>0.05) between the feed efficiency of empirical diets 1, 2 and 3 as shown in Table 5. The poorest feed efficiency of 24.43% was recorded in fish fed100% water lettuce leaf meal without maize meal (diet 5). The feed efficiency is simply the reciprocal of food conversion ratios (1/FCR), the greater the feed efficiency, the better for the fish as less diets will be converted into flesh. FEs greater than 50% are considered good i.e. ¾ growth. The mean protein efficiency ratio of 1.01 was highest in fish fed control diet containing 0% water lettuce leaf meal along with 100% maize meal, followed by diet 3 containing 50% water lettuce leaf meal along with 50% maize meal (0.93), and the lowest mean protein efficiency ratio of 0.61 was observed with diet 5 containing 100% water lettuce leaf meal along with 0% maize meal. The significant difference (p>0.05) for PER assumed the same trend pattern for MGR, SGR and FCR in diet 1 (1.01), diet 2 (0.93) and diet 3 (1.00) and in diet 4 (0.71) and diet 5 (0.61) respectively as shown in Figure 1. The mean total fish production of 7.49 kg/m3 was highest in fish fed diet 3 containing 50% water lettuce leaf meal along with 50% maize meal, followed by diet 1 containing 0% water lettuce leaf meal along with 100% maize meal (5.76 kg/m3), and the lowest mean total fish production of 3.00 kg/m3 was observed with diet 5 containing 100% water lettuce leaf meal without maize meal. There was no significant difference (p>0.05) between the mean total fish production of diet 1 (5.76 kg/m3) and diet 3 (7.49 kg/m3) and no significant difference between diet 2 (4.62 kg/m3), diet 4 (3.43 kg/m3) and diet 5 (3.00 kg/m3) respectively. Figure 1: Growth curves of Clarias gariepinus fingerlings fed water lettuce based diets for 8 weeks. Acceptability of the diet is the common problem associated with alternative sources of feed stuffs (Rodriguez et. al., 1996). In this present investigation, all the experimental diets were accepted by Clarias gariepinus Juveniles and utilized differently as evidenced in growth response parameters. This implies that the levels of incorporation of water lettuce leaf meal did not affect the palatability of the diets but utilization. This might be due to the processing method employed in this study. This sun drying and the grinding techniques might reduce the amounts of antinutritional factors in the water lettuce leaf meal thereby increasing its palatability in Clarias gariepinus. The observation agrees with the report of (Fagbenro, 1999; Francis et al., 2001 and Siddhuraju and Becker, 2003). These workers reported that reduction in anti-nutritional factors by different processing techniques resulted in better palatability and growth in fish. 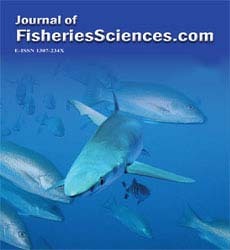 This feeding trial reveals that the maize-basal diet (control diet) performed best in term of growth, food conversion ratio and protein efficiency ratio than diets with varying inclusion levels of sundried water lettuce leaf meal and its inclusion affected the growth patterns of experimental fish. Diets with high inclusion levels (diet 4 and diet 5) resulted in reduced growth of Clarias gariepinus juveniles. The other treatments which include water lettuce leaf meal, however, showed incredible results. The fish fed 50% water lettuce leaf meal along with 50% yellow maize meal was observed to be best among the treatments, with final weight of 84.37 g, 1.24 g daily growth rate, 3.10%/day specific growth rate, 1.00 protein efficiency ratio, 7.49 kg/m3 total fish yield and 86.67% survival rate. This result agrees with other works of Fasakin et al., 2001 and Obasa et al., 2013. These workers reported that at above 50% inclusion levels, growth, feed utilization and digestibility reduced due to the presence of anti-nutritional factors in Azolla Africana leaf meal and fermented mango seed meal respectively. In this present study, inclusion of water lettuce leaf meal at 75% reduced growth rate and feed utilization of Clarias gariepinus juveniles. Omojowo et al. (2010) reported that 25% inclusion of mango peel meal in the diet of O. niloticus fingerlings supported growth. El-Sayed et al. (2010) reported that dried citrus pulp meal could also replace 10% maize meal for tilapia diets. However, Imgbian and Zarmai, (2011) also reported that palm oil sludge meal could replace maize meal up to 50% inclusion level for H. longifilis fingerlings. Throughout the feeding trial, the water quality in all treatments was within the optimum range required by catfish Boyd (1979) and Ajani and Akinwole (2001). The cost effectiveness in terms of protein-sparing action of diet 3 accounts for its quality for better performance. The practical diet with water lettuce leaf meal could be partially included in maize diets fed to Clarias gariepinus juveniles up to 50% to facilitate fish acceptability, ingestion and utilization for better yields in aquaculture. Adedokun, M.A, Ayanboye, A.O., Oluwafemi, Z.O. (2016)Effect of Smoked Fish Waste Meal on Growth Response and fish Oroduction of African Mudfish (Burchell, 1822): An Economic Implication in Nigeria. International J Fisheries and Aquatic Studies 3, 1-5. Ajani, E.K., Akinwole, O.A. (2001) Recommended water quality for warm water Fishes in Fish farming. University of Ibadan Agric Res 3, 19-23. Alatise, S.P., Adedokun, M.A., Adelodun, O.B., Ajiboye, G.E. (2014) Effects of Boiled Jatropha Kernal Meal as a Subtitude for Soyabeans Meal in Diets of African Mud Catfish (Clarias gariepinus) Fingerlings. Jof Fisheries and Aquatic Sci. APHA AWWA WPCF (1999) Standard methods for the examination of water and wastewater. The 20th Edition. American Public Health Association American Water Works Association and Water Pollution Control Federation. Washington DCpp: 460-472. A.O.A.C (1990) Offical methods of analysis 14th edition. Association of Analytical Chemist, Washington D.C.
Boyd, C.E. (1979)Water quality in warm water fish ponds. Claude E. Boyd (Ed. ), Third Ed., Pub. Auburn Univ., Agric p: 359. Brett, J.T. (1973) Growth response of young Sockeye Salmon (Oncorhynchus nerk) to different diets and planes of nutrition. J of Res Board Can 28, 1835-1842. El-Sayed, S.A., El-Kholy, M., El-Eleraky, W.A., Soliman, M.H. (2010) Effect of partial replacement of yellow corn with dried citrus pulp in Nile tilapia diets on growth performance, nutrient digestibility and immune status. Fagbenro, O.A., Arowosoge, A.I. (1991) Replacement value of some household wastes as energy substitutes in low-cost diets for rearing catfish in southwest Nigeria. Bioresearch Technology 37,197-203. Fagbenro, O.A. (1999) Comparative evaluation of heat processed winged bean (Psophocarpus tetragonolobus) meals as partial replacement for fishmeal in diets for African catfish (Clarias gariepinus). Aquaculture 170, 297-305. FAO (2009) Use of algae and aquatic macrophytes as feed in small-scale aquaculture (A review). FAO Technical paper No. 531, ISBN 978-92-5-106420-7, Rome, Italy. Fasakin, E.A., Balogun, A.M., Fagbenro, O.A. (2001) Evaluation of sundried water fern, Azolla africana and duckweed, Spirodela polyrrhiza in practical diets for Nile tilapia, Oreochromis niloticus fingerlings. J Appl Aquaculture 2, 83-92. Francis, G.H., Makkar,P.S., Becker,K. (2001) The anti-nutritional factors present in plant derived alternate fish feed and their effects in fish. Aquaculture 119,197- 227. Imgbian, T.D., Zarmai,T.I. (2011) Growth performance and survival of Heterobranchus longifilis fingerlings fed graded levels of palm oil sludge. PAT 7,55-63. Lakshmanan, M.A.V., Murthy, D.S., Pillai, K.K., Banerjee (1967) On a new artificial feed for carp fry. FAO Fisheries Report 44,373- 387. Mbonge, M.J. (2007) Utilization of locally available feedstuffs for Nile Tilapia (O. niloticus L.) production in small-scale cage culture in Kenya. M.Sc. Thesis. University of Natural Resources and Applied Life Sciences Vienna, Austria. NRC (1993). Nutrient Requirement of Fish National Academy Press, Washington DC p:114. Obasa, S.O., Alatise, S.P., Omoniyi,I.T., Alegbeleye, W.O.,George, F.A. (2013) Evaluation of fermented mango (Mangifera indica) seed meal in the practical diet of Nile tilapia, (Oreochromis niloticus) fingerlings. Croatian J Fisheries pp:10-23. Oluwasola, O., Ige, A.O. (2015) Factors Determining the Profitability of Catfish production in Ibadan, Oyo State, Nigeria. Sustainable Agriculture Research 4, p: 4. Olvera Novoa, M.E., Campus, G.S., Sabido, G.M., Maritinne, C.A. (1990) The use of alfalfa leaf protein concentrated as protein source in diet for tilapia, Orechomis mossabicus. Aquaculture 90,291-302. Omojowo, T.M., Omojowo F.S., Alatise S.P. (2010) Growth response and nutritional evaluation of mango peel-based diets on tilapia (Oreochromis niloticus) fingerlings. 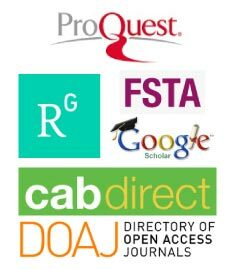 Researcher 2, 44-49. Park, K. (2007) Parks textbook of preventive and social medicine (19th edn). Jabalpur, India. Pillay, T.V.R. (1990) Aquaculture principles and practices. Fish news books: London. Quattrocchi, U. (2000) CRC World Dictionary of plant Names. M-Q CRC Press p:2084. Rodríguez, R., Julio, C., Palma, J. 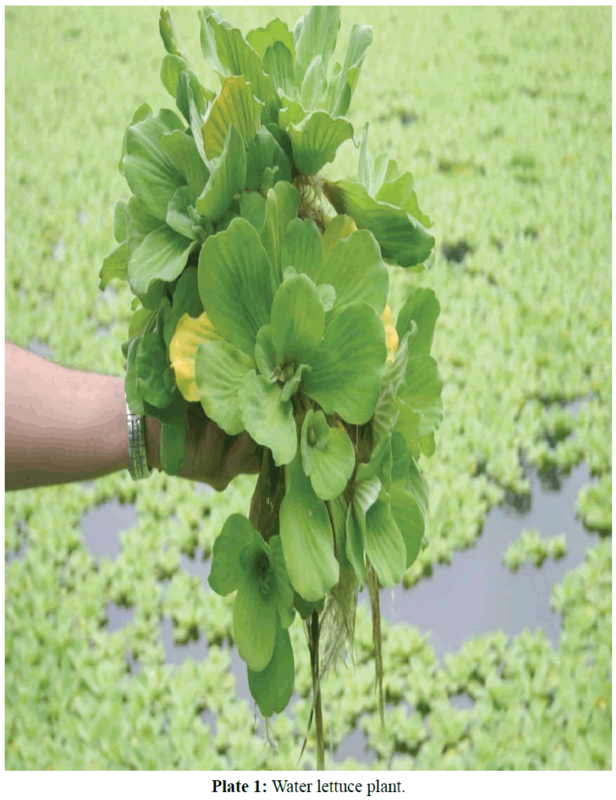 (2000) Nutritive value of water lettuce (Pistia stratiotes) and its possibility in animal feed. J of Zootecnia Tropic 18, 213-226. Rumsey, G.I. (1993) Fishmeal and alternative sources of protein in fish feeds update. J Auacult Fisheries. 18,14-19. Shiau, S.Y., Peng C.Y. (1993) Protein-sparing effect by carbohydrates in diets for tilapia, O. niloticus ×O. aureus. Aquaculture 117,327-334. Siddhuraju, P., Becker, K. (2003) Comparative nutritional evaluation of differentially processed mucuna seeds Mucuna pruriens (L.) DC var. utilis (Wall ex Wight) Bakar ex Burck, on growth performance, feed utilization and body composition in Nile Tilapia (Oreochromis niloticus L.). Aquaculture 34, 487-500. Singh, P.K. (1977) Azolla plants as fertilizer and feed. Indian Farming27,p:19. Soltan, M.A. (2002) Using tomato and potato by-products as non-conventional ingredients in Nile tilapia, O. niloticus diets. Fac. of Agric., Moshtohor, Zagazig University, Banha branch. Animals of Agric Sc Moshtohor40, 2081-2096. Soltan, M.A. (2005) Potential of using raw and processed canola seed meal as alternative fish meal protein source in diets for Nile tilapia, O. niloticus. Egyptian J. Nutrition and feeds 8, 1111-1128. Varshney, S.K., Singh, P.K. (1976) Use of algae and aquatic macrophytes as feed in small scale aquaculture- a review p: 67-73. Viveen, W.J.A.R., Richer C.J.J., Van Oordt, P.G.W.J., Jasseni, J.A.L., Huismen, E.A. (1985) Practical manual for the culture of African catfish (Clarias gariepinus). Directorate for international Technical Cooperation, Hague,The Netherlandsp: 93.